Superman's first appearance was in Action Comic #1 1938. The magazine featured Superman doing a superhuman feat on the cover. 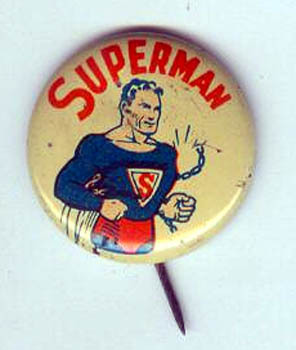 According to our research a pin was produced and given during the first Action Comics Mailaway. Details of this we simply haven't been able to pin down, but we do have the pin supposedly given out here on the right.